We are always over the moon when we get featured in the media, but we was absolutely thrilled to be listed as one of the best glamping sites in Australia in the Qantas Travel Insider magazine! 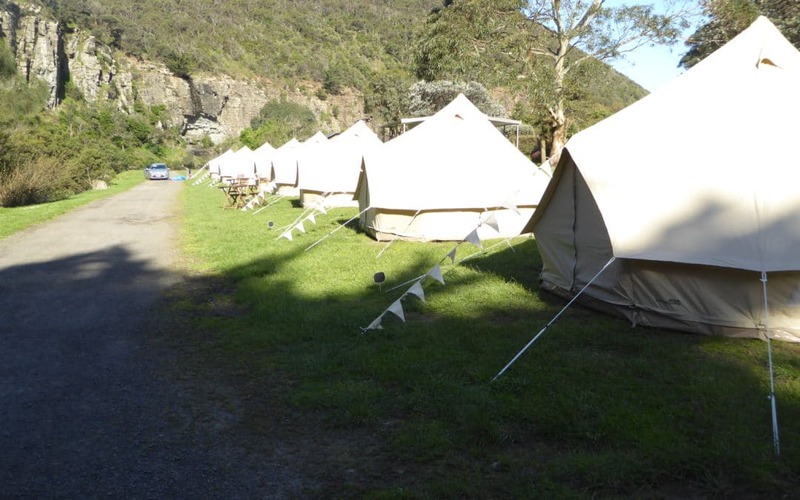 The photo in the article was taken at the stunning Cumberland River Holiday Park where we set up 10 bell tents for a wedding, however we’re pretty much at Cumberland River every weekend setting up for weekend getaways and special occasions, its one of our favourite spots to go glamping! We can provide everything from balloons, flowers and special cards to cheese platters, wine and breakfast in bed! At Cumberland River you can camp along the river, walk up into the Otway’s, go swimming in a natural pool (for an ice cold wake up call on those hot days!) or stroll across the road to the beautiful private beach for a spot of sun lounging, surfing, yoga or fishing! Total glamping bliss!